GREAT Food Hall unveiled the Queensland Fresh & Fresher promotion, supported by the Queensland Government showcasing a delectable range of organic meats, sustainable seafood, fresh fruit and vegetables that exemplify the absolute best of Queensland. North Queensland banana farmers Frank and Dianne Sciacca of Pacific Coast Produce are the pioneers behind Eco Bananas, which are grown on several family farms totalling approximately a thousand acres of land through a minimal impact, holistic farming system completely in sync with nature. That means plants, weeds, grasses, animals and insects are all taken into consideration under this trademarked Ecoganic system, ultimately benefiting the health of the farms, the soil fertility and the neighboring eco-system of the Great Barrier Reef. As one of the Australia top brands, Bundaberg has been renowned for its non-alcoholic brewed drinks. Traditionally brewed using a genuine old recipe makes the flavor characteristically strong. Every Bundaberg brew is made from only the finest fruits, roots, and spices. That's because nothing tastes more like ginger than real ginger root. To enhance an authentic lemon and lime taste, its lemon series use only 100% real lemons and limes. Bundaberg also offers diet ranges with low calorie content for those healths conscious beverage lovers. Finger limes are an extraordinary citrus fruit native to Australia, and typically grow wild in the sub-tropical rain forests near the Queensland, New South Wales border. 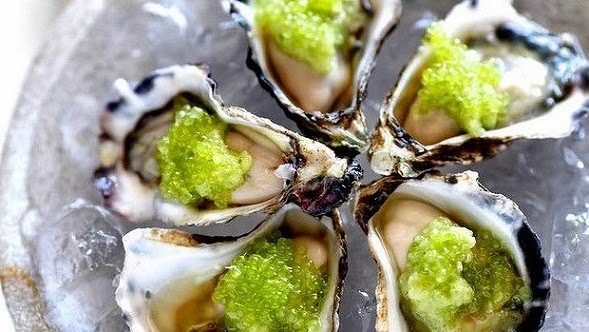 The Lime Caviar Company taking its name from the tiny caviar-like, lime juice filled pulp berries enclosed within the fruit produces approximately 16 tonnes of finger limes every year on its own farm located in South East Queensland. Not only is this fruit rich in antioxidants, vitamins and minerals, it is a wonderfully versatile ingredient that adds a burst of flavour to seafood, oysters, Asian salads, sushi, sashimi, cocktails and desserts. Ranger Valley is among Australia’s foremost producers of premium marbled beef, specializing in pure Black Angus and Wagyu cross breeds. The cattle are well-cared-for, grain-fed at least 300 days double the industry’s average feed time and never treated with growth hormones. The herds graze freely in the pristine, cool environs of the Northern Tablelands bordering Queensland, which ensures the most favourable conditions for marbling. All these factors contribute to a naturally tender, succulent and full-flavoured beef, produced to the highest safety and environmental standards. One thing’s for sure, Rangers Valley lives up to its brand promise: ‘Quality that Exceeds Expectations’. Inglewood Farms is the Southern Hemisphere’s largest organic poultry producer and the world’s third largest, supplying 80% of the Australian organic market. Its certified organic free-range chicken adheres to strict organic farming methods, and is safe and healthy to eat. The upbringing of the birds takes priority at this sustainable farm, and each one enjoys a higher quality of life compared to regular chickens. About 75% of the bird’s life span is spent in the fresh air and sunshine on grassy pastures dedicated to them, while their entirely farm-grown feed is as wholesome as possible without added hormones, chemicals, antibiotics, growth stimulants and genetic modifications. The result is a superior-textured chicken with a lean and succulent meat. Promotion ends 11th October.